1989 Prince of Asturias Awards Stephen Hawking, 1989 Prince of Asturias Awards laureate for Concord, during the Official Audience of the laureates with H.R.H. 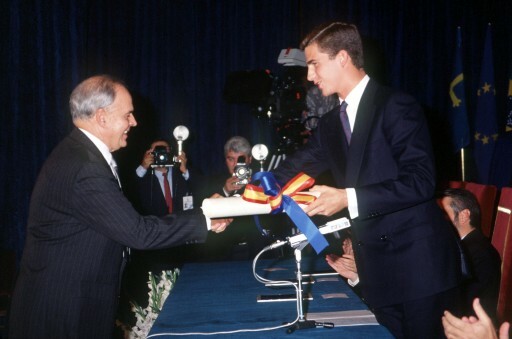 the Prince of Asturias. 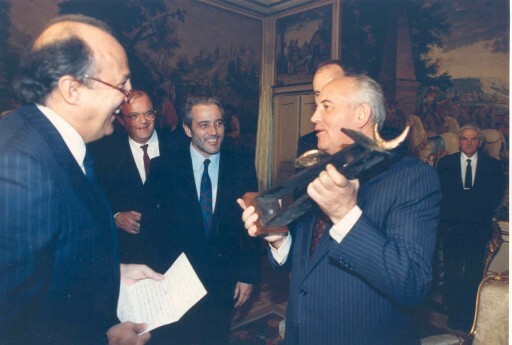 1989 Prince of Asturias Awards Ricardo Gullón, 1989 Prince of Asturias Awards laureate for Literature, is presented with the Award by H.R.H. 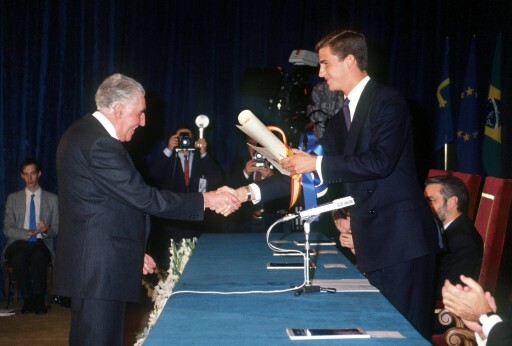 the Prince of Asturias. 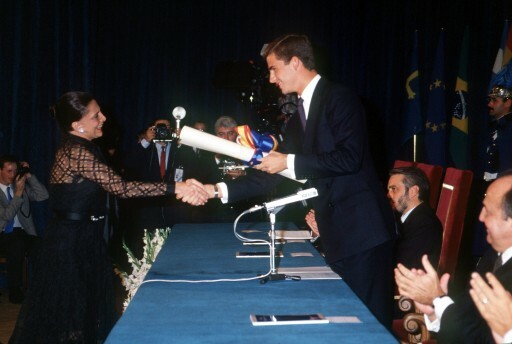 1989 Prince of Asturias Awards Óscar Niemeyer’s daughter, 1989 Prince of Asturias Award for the Arts, collects the Award on behalf of her father. 1989 Prince of Asturias Awards Guido Münch, 1989 Prince of Asturias Awards laureate for Technical and Scientific Research, is presented with the Award by H.R.H. the Prince of Asturias. 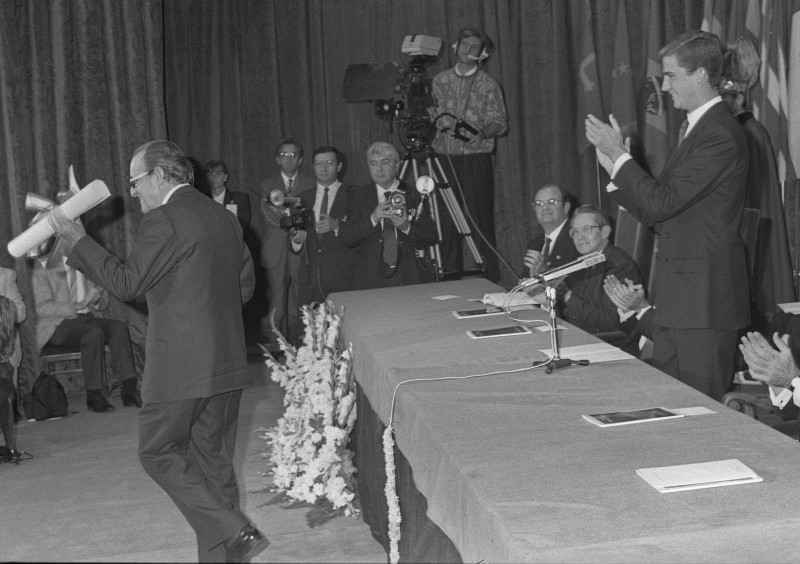 1989 Prince of Asturias Awards The representative of the Fondo de Cultura Económica de México, 1989 Prince of Asturias Awards laureate for Communication and Humanities, is presented with the Award by H.R.H. 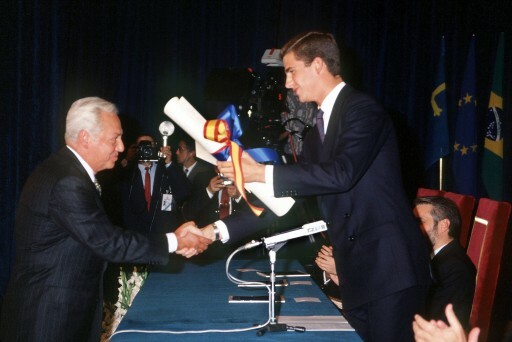 the Prince of Asturias. 1989 Prince of Asturias Awards Enrique Fuentes Quintana, 1989 Prince of Asturias Awards laureate for Social Sciences, during the Presentation Ceremony. 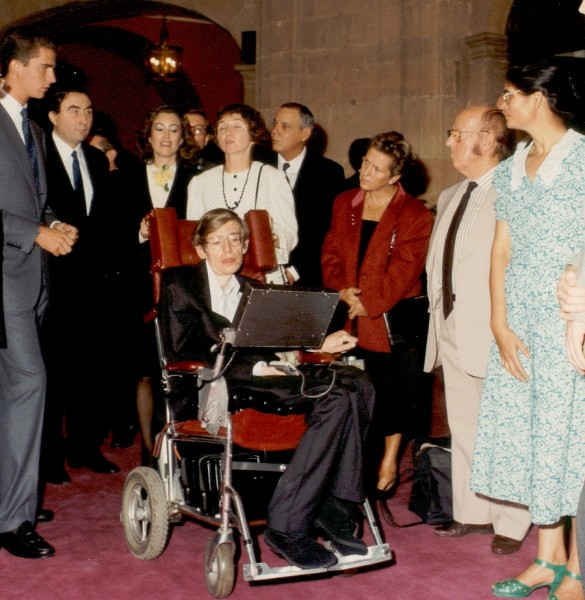 1989 Prince of Asturias Awards Mijail Gorbachov, 1989 Prince of Asturias Awards laureate for International Cooperation, collects the Award at the Royal Palace in Madrid. 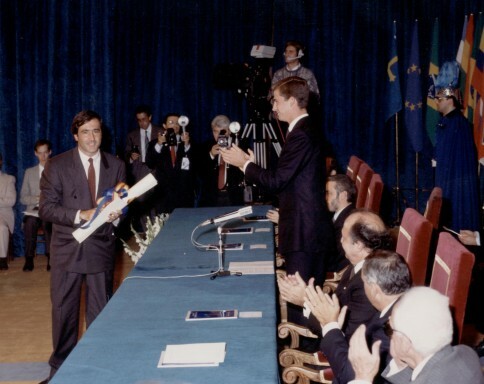 1989 Prince of Asturias Awards Severiano Ballesteros, 1989 Prince of Asturias Awards laureate for Sports, is presented with the Award by H.R.H. the Prince of Asturias.